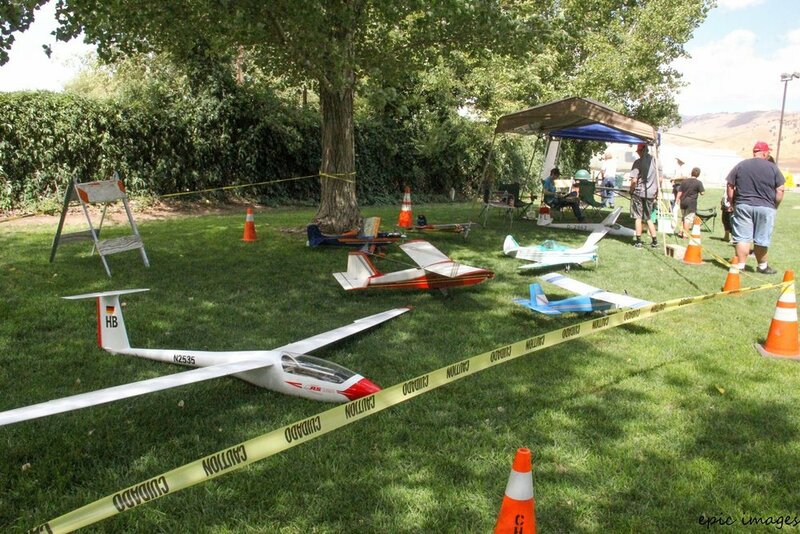 Thanks to the generosity of Golden Hills Community Services District, Tehachapi Crosswinds RC Club enjoys the many benefits of safe radio control flight through a generous donation of land. Our flying field lies withing the beautiful Golden Hills Community District. 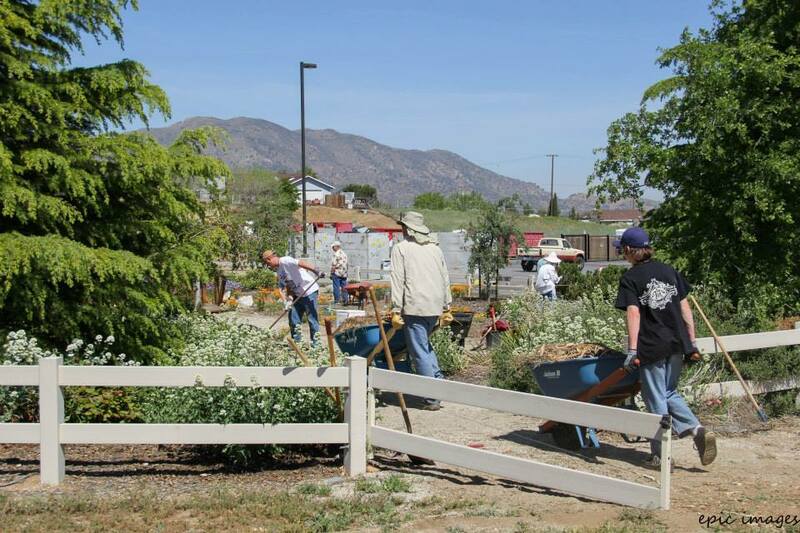 To show the appreciation of the support of the GHCSD, Tehachapi Crosswinds participates in making the community a better place to live by helping beautify our shared amenities. If you're hosting a local event and need some help, let us know! We'd be glad to distribute the request for assistance to our membership. Thank you to Jay Clark, Kent Beal, Powell Brown, John Sturgeon, Mason Hutchison, Cara Hutchison, Ella Hutchison, Weston Hutchison, Nicki Brubaker, Cambria Lambert, and Sophie Theriault for helping set up and tear down this event. We had a lot of fun! Thank you to John Sturgeon, Jake Wyatt, Bri Brubaker, Howard Burr, Eli Lockwood, Powell Brown, Cliff Barth, Ron Burgess and several others for setting up and particpiating in the Celebratino of Flight. They worked hard to let the community know we are an active club. 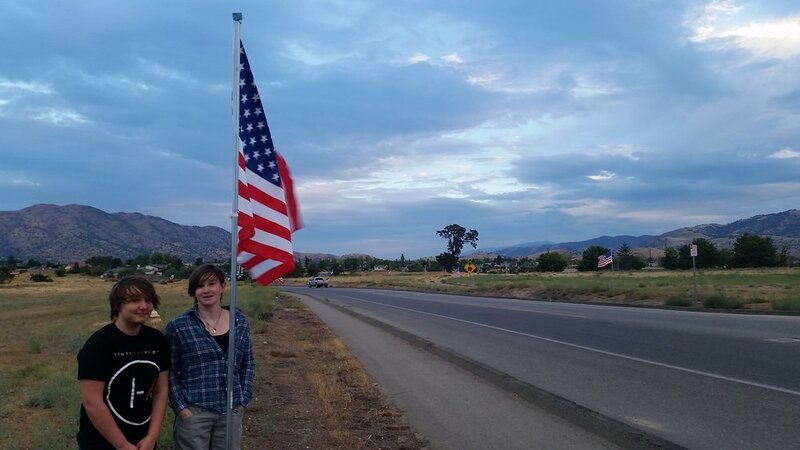 Ella and Nikki got up very early and installed the flags along Red Apple! 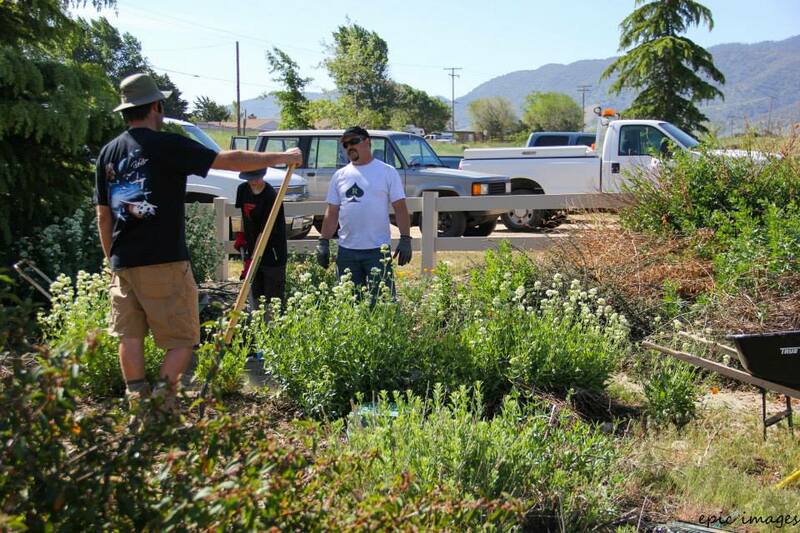 Thanks to club members Jake Wyatt, Tim Bourgeois, Bri Brubaker, Eric Brubaker, Rob Heap, & Bill Fisher for helping maintain the fire-resistant garden at the Golden Hills Community Service District. Tehachapi Crosswinds says THANK YOU! Special thanks to Tehachapi Crosswinds RC Club Members Ron Burgess, Bill Fisher, Karen Fisher, Rob Heap, Mason Hutchison, Stephen Lucy, Dave Metz, Matt Reed, Wayne Sewell, John Sturgeon, Laura Lynne Wyatt, Jake Wyatt, & Scott Wyatt. It was a day of hard work towards cleaning up the long-neglected land of the former Gold Hills country club. With rakes, saws, brooms, & shovels, these members joined several other community members in the effort to make a visual difference in the grounds that were overgrown and unkempt. Tehachapi Crosswinds appreciates the opportunity to say thanks for the land use for our flying field! 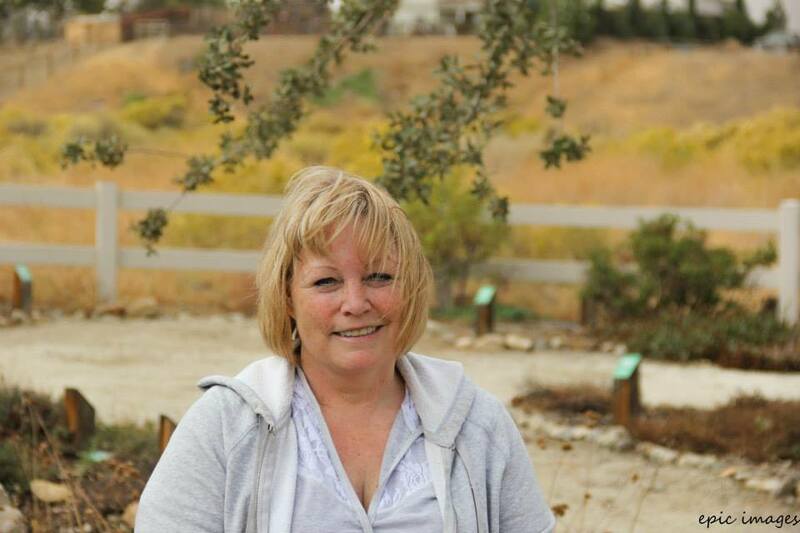 Thanks to club members Cara Hutchison & Karen Fisher for their efforts in maintaining the fire-resistant garden at the Golden Hills Community Service District. 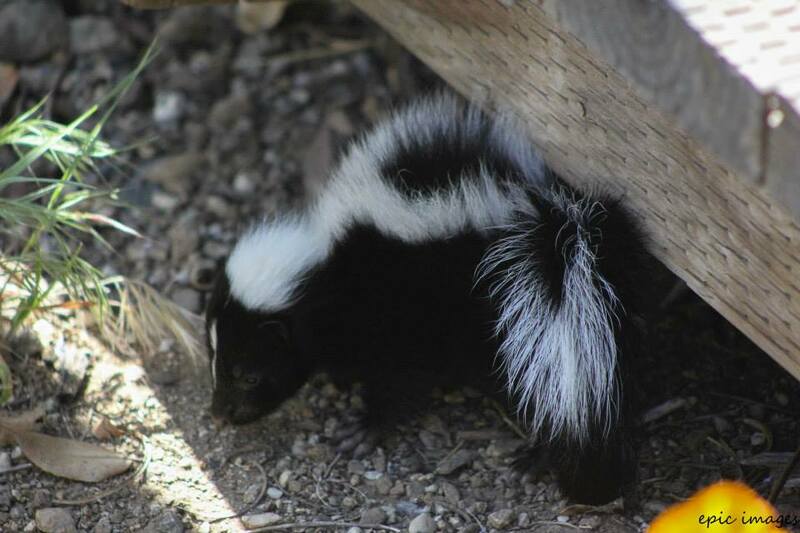 They began winter preparation of the garden by weeding the visitor's trail, removing debris, and cutting back the growth from the summer. Cara's son, Weston, helped too. 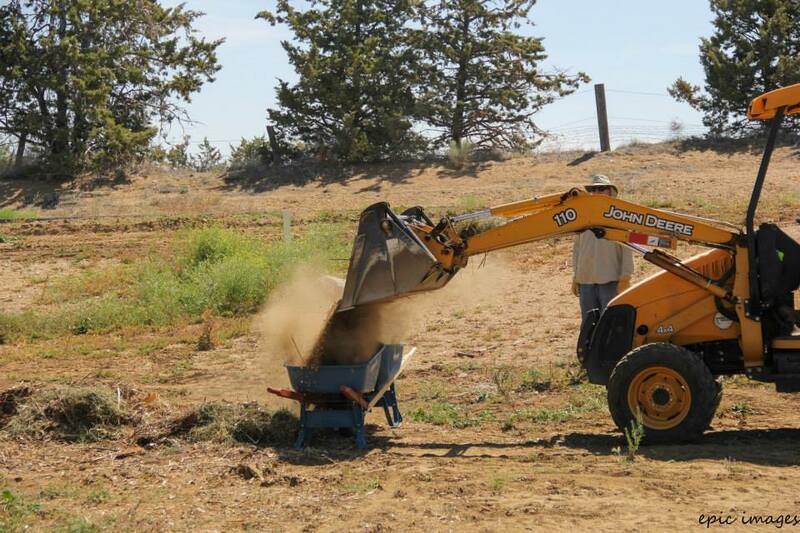 There is still much work to be done, but the Tehachapi Crosswinds RC Club and Golden Hills Community appreciate their efforts. They are fine representation of the good people of our hobby. Thanks to Epic Images for the photography. "I want to thank all of you that participated in the clean up day at the CSD it was a huge success. The CSD Board, employees, vendors, and public were able to observe how great our club really is. 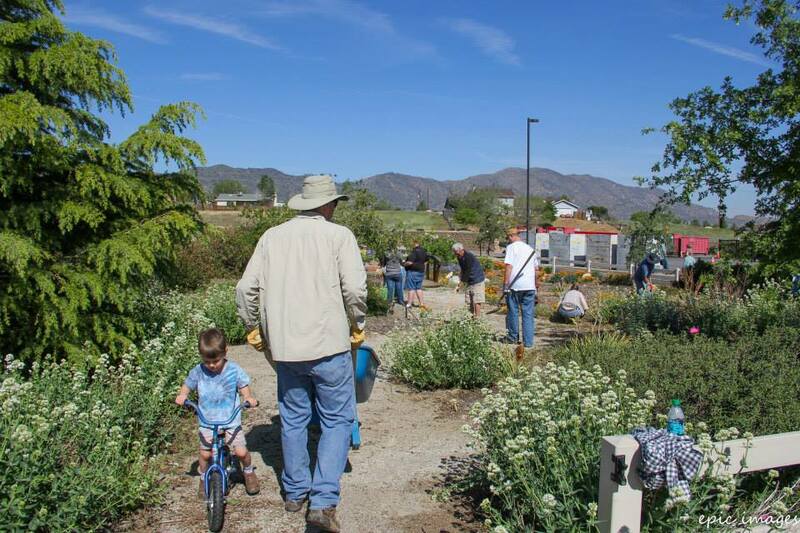 (when the wind stops blowing)"
Fire-Resistant Garden Cleanup Day - May 2014. Additional thanks to the Golden Hills CSD Board members & other residents who helped that day! 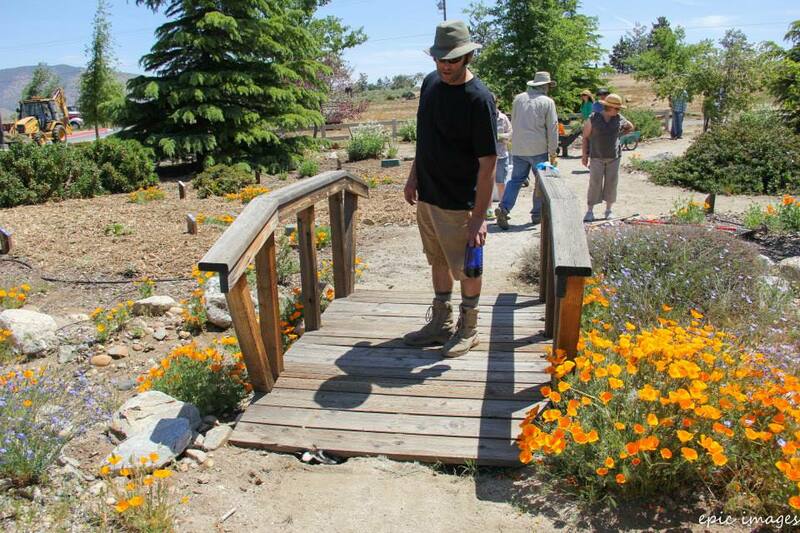 Tehachapi Crosswinds members remove graffiti from under the bridge at Meadowbrook Park walking/bicycling trail, 2012.